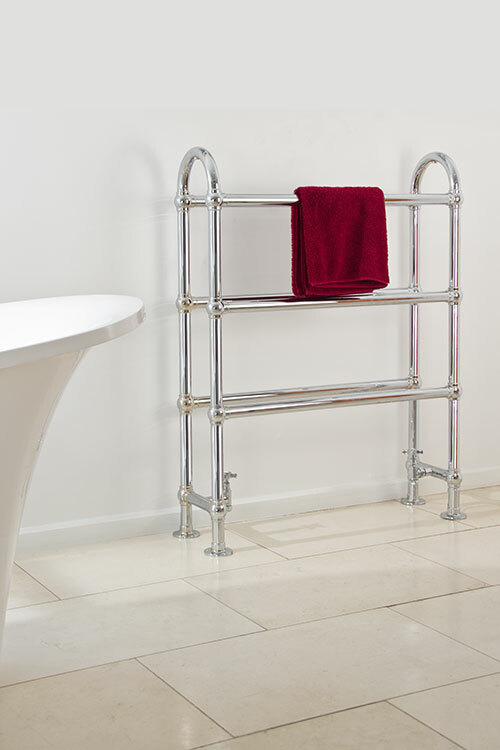 The Horse is an English manufactured floor mounted heated towel rail that is manufactured to an Edwardian classic design. 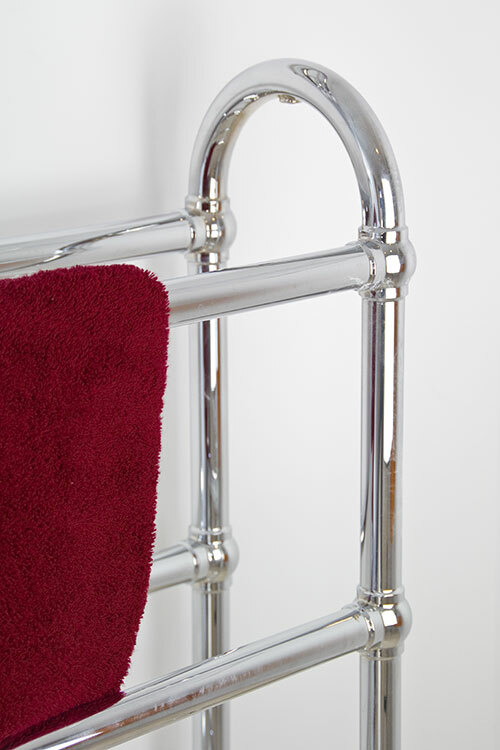 This ball jointed towel warmer is traditionally manufactured with the chrome plated onto brass which is far superior in quality and longevity of the inferior chrome on steel rails versions. 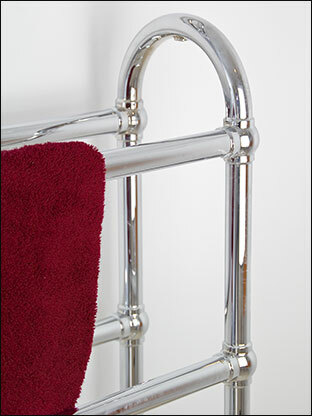 Each bathroom radiator is hand brazed with the chrome polished to high shine. 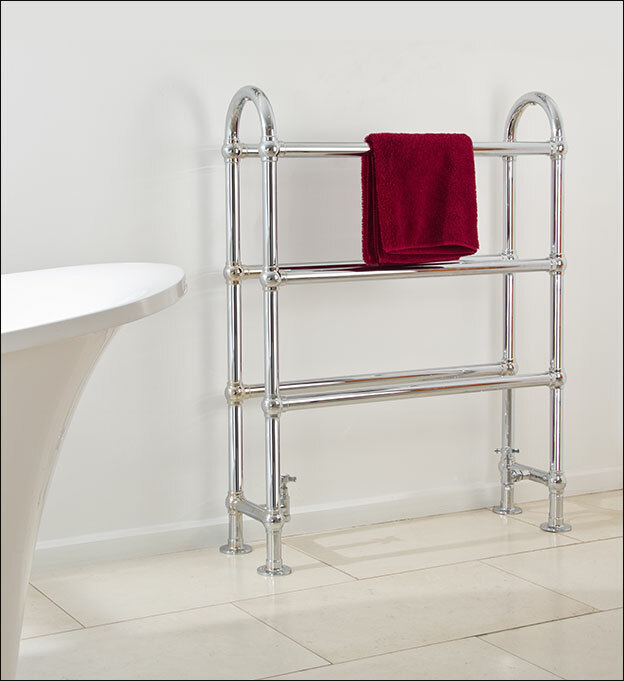 This heated towel rail is designed with lots and lots of space for easy hanging and quick drying of towels. 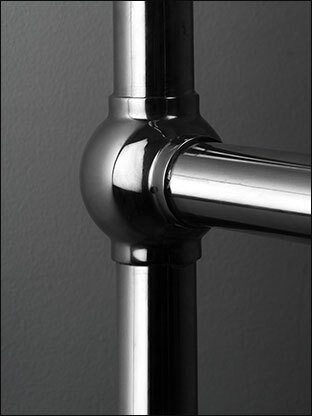 Alternative towel rail finishes are available in brushed or polished brass, gold, nickel and copper. 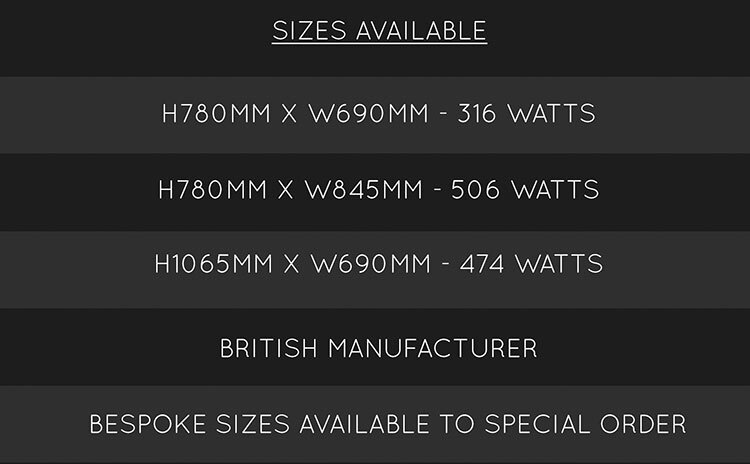 • Made in the U.K.
• 3 towel rails sizes. 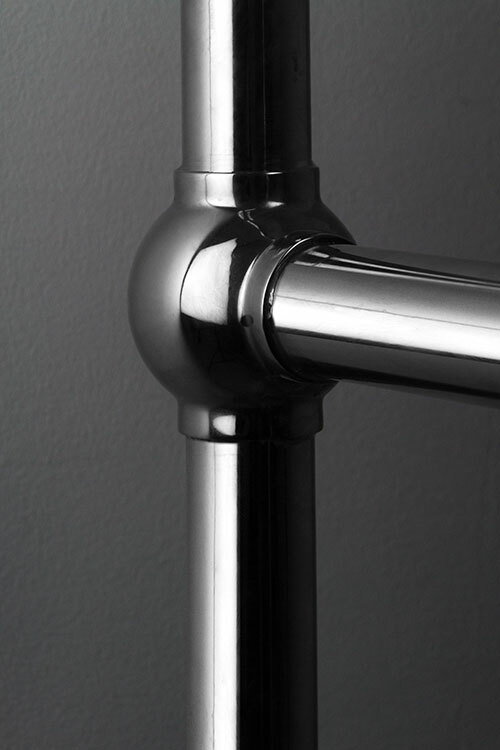 • Also dual fuel and electric only. 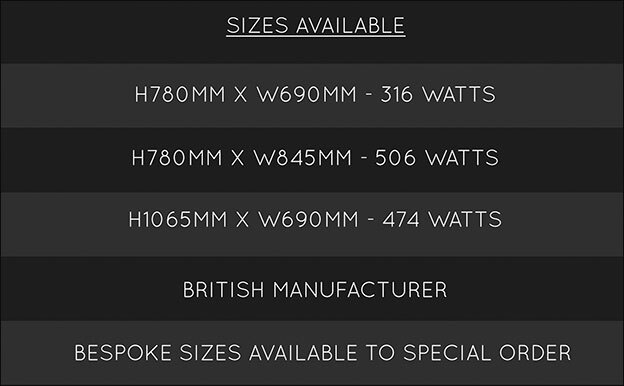 • Includes UK mainland delivery.